This is the first flower from my other Actaea. 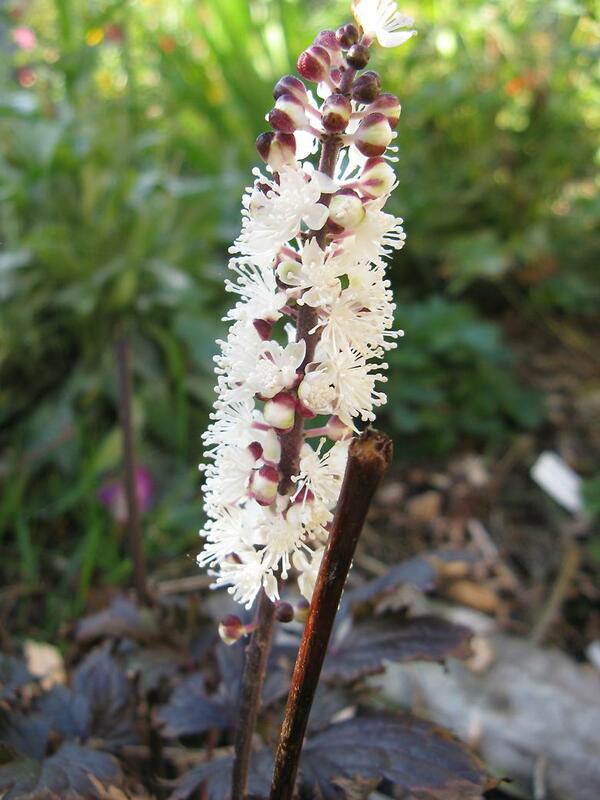 It is Actaea simplex 'Brunette' (Atropurpurea Group). Unfortunately the plant is not doing well in this location. I believe that it is sensitive to the wind whipping around the side of the house and has lost all of its highest leaves, and this flower is very low near the ground too. At one stage I thought it wasn't even going to flower, so this is a bonus.